Or maybe this shd. be titled After Long Silence, the alternate title of Sheri S. Tepper's The Enigma Score. I don't, however, mean to use the Gandalfian update on absence: "Wherever I have been, I'm back." In fact, I shall probably comment on where I've been at some length, and with pictures to boot. "The Honor of the Ferrocarril" had come out in June in Gears and Levers 3. It's now also out in Across the Spectrum from Bookview Cafe Press. 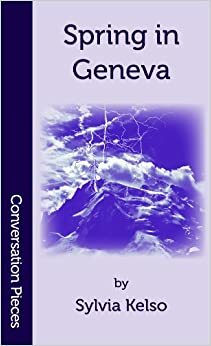 "Spring in Geneva" was going up in instalments on the blog, and due out from Aqueduct. "The Price of Kush", or by its working title, "Candace," is in process of formatting for an ebook with Milton Davis for Griots II: Sisters of the Spear. Seen some of the art, and it is sensational. Holding breath that there might be some for Candace as well. And while I was away, amazing, wonderful. A post popped up in my Inbox about a manuscript I'd sent off before I left, with v. little expectations. I even left the answer till last to open, thinking, Only another rejection, let's not bring ourselves down till we have to. But again, lo and behold! Amazement. "The editor loved it," quoth the publisher. "Do I work directly on the contract with you?" 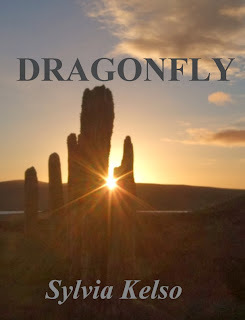 So, the fourth Amberlight book, titled Dragonfly, shd. be coming out from Jupiter Gardens Press in the near future, both p.o.d. and e-versions I expect. Nowhere near the proofs, even yet, let alone actual release, but it's on the way. From an image I collected off the Web when writing the ms. But now, hanged if I can locate it to ask permission for its texting-over (no, the title and name weren't there on the original) and use as a cover. Dratsab, dratsab, dratsab, as Lois Bujold's Temple sorceress likes to say in The Hallowed Hunt. So, if anybody who sees this took the photo, or knows who did, or can re-find it on the Web, let me know, please! A comment on the bottom of this post will work pretty well.